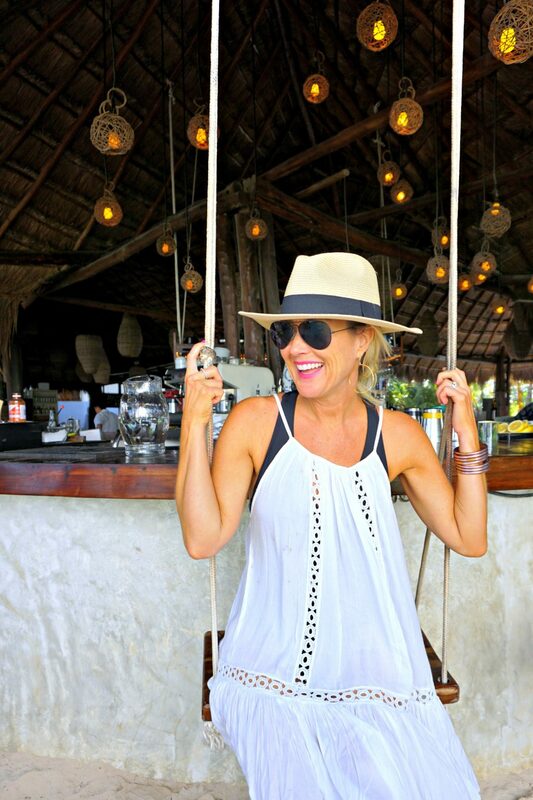 A Day in Tulum | hi Sugarplum! We’re home from our Spring Break adventure, which just like this Senior year of school, flew by way too quickly. I tried to stay in the moment, but it was impossible not to think this was quite possibly our last Spring Break together as a family of four. Once our son leaves for college this Summer, the kid’s Spring Breaks may never overlap again. And then he’ll graduate and get a job and Spring Break is a thing of the past!! Do you see where my mind goes, and why I’m in a constant state of ‘do all the family things’!? Wait until you see where we’re headed for our family vacation this Summer…I’m literally treating every day and trip as if it’s our last. Which I know in my head not to be true, but my heart won’t stop grasping. So I just keep planning over-the-top experiences and memories, hoping they’ll be enough to sustain me when he’s gone. Geez, that’s depressing. Happy Tuesday, right? 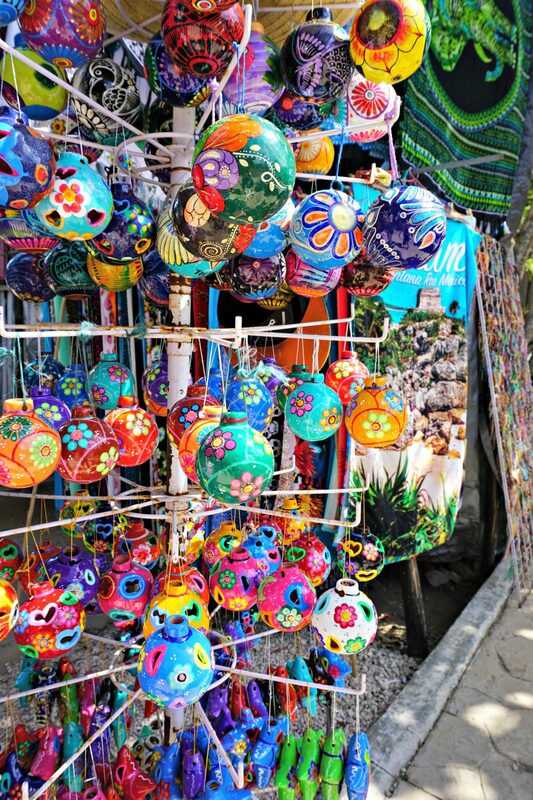 Let’s talk happier subjects, like fun Mexico excursions! On our first visit to the Belmond Maroma, I was grieving the loss of my dad, so we spent a lot of time talking, crying, and remembering. (There I go with the Debbie Downer again!) In other words, we stayed close to the resort and didn’t venture out at all. 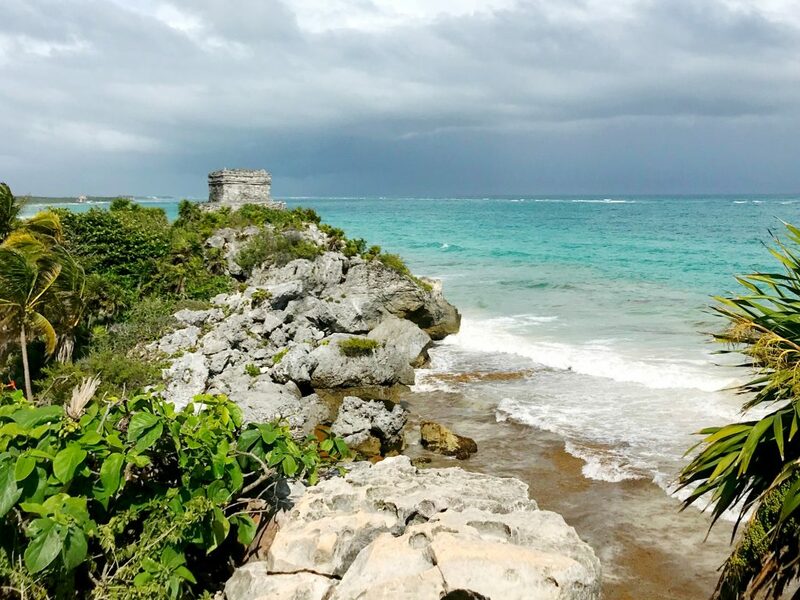 This year, we decided an adventure was in order, so we took a day trip to Tulum! 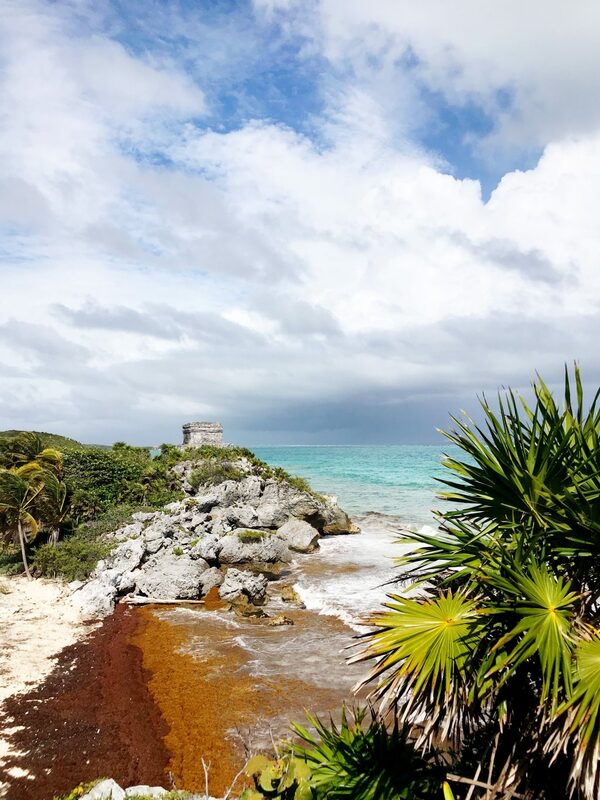 Thanks to Instagram, Tulum has been on my travel list for quite some time. 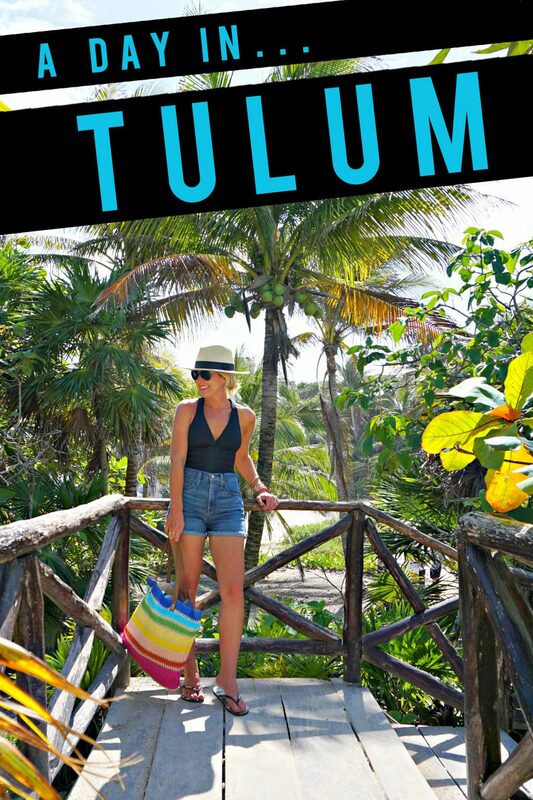 In fact, we looked into staying in Tulum for this trip, but in the end, the draw of the Belmond Maroma was just too great. 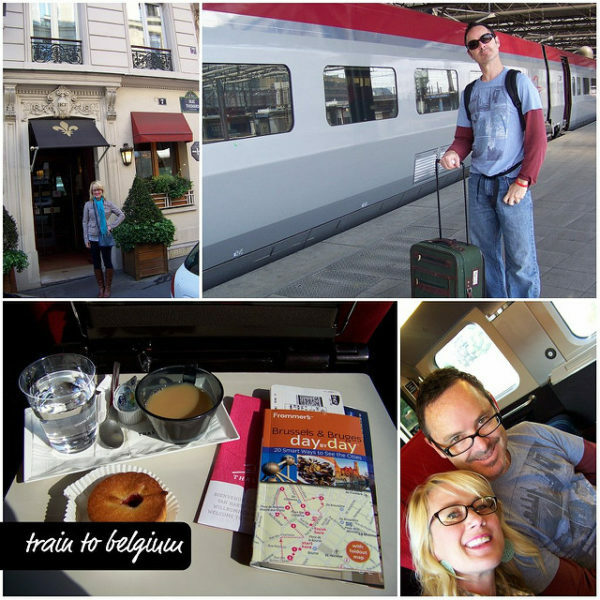 Fortunately, it’s an easy 1-hour cab ride away…so one cloudy morning over breakfast, we decided to head south! The hotel arranged us a taxi for the day, and 15-minutes later we were on our way with towels and water. 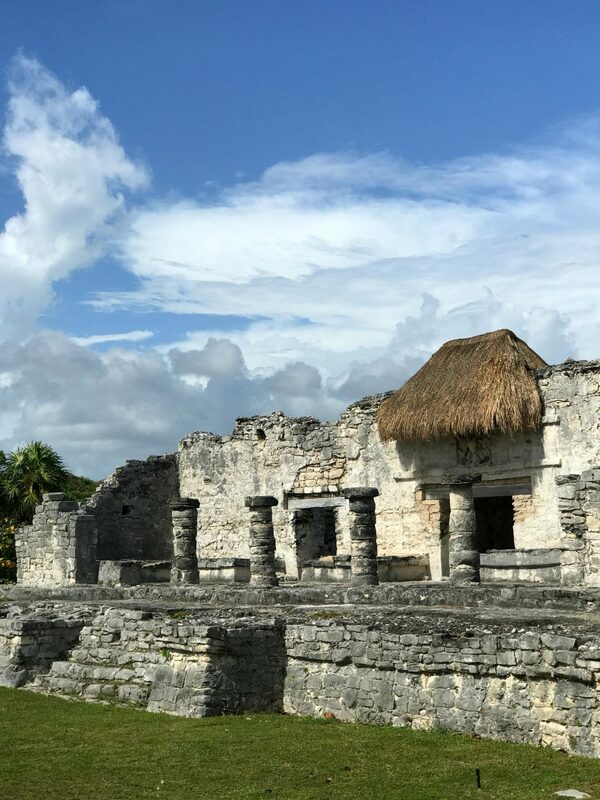 First stop was the ancient Mayan Ruins, dating back to the 13th century. 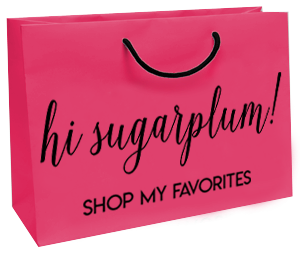 Sugarplum Travel Tip: Cars are only allowed to drop you about a quarter-mile from the entrance of the Park, and you walk the rest of the way. A ‘helpful gentleman’ informed us the line to get in was over an hour long, but a private guide allows you to skip the line and go directly in. As it turns out, there was no line. But the silver lining…having a guide actually proved to be helpful and interesting since they are well-educated on the history of the ruins. Plus, he can take your picture, ha! 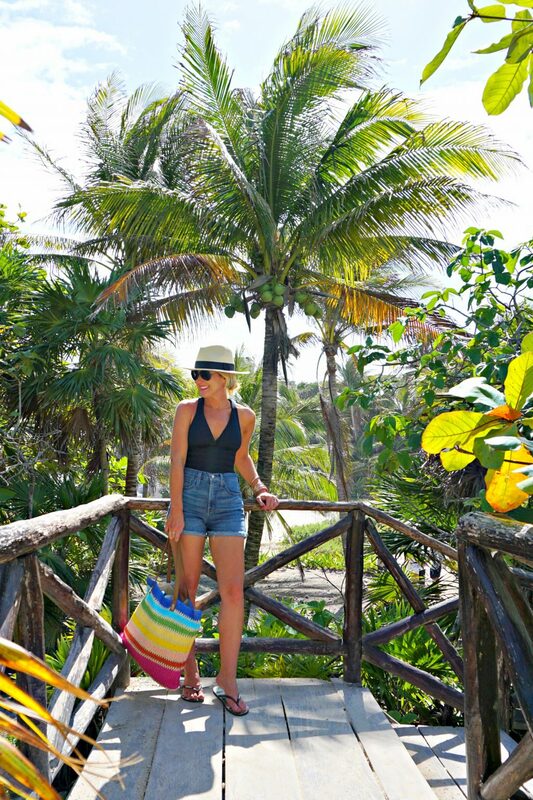 I knew we’d be hiking, swimming, shopping, and eating…so I wore this chic one-piece swimsuit (30% off!) with high-waisted shorts, and packed a cover-up dress in my tote. The swimsuit wears like a tank top, but I was ready to hit the beach anytime we wanted. The cover-up doubled as a sundress, and was perfect for late lunch in the sand. 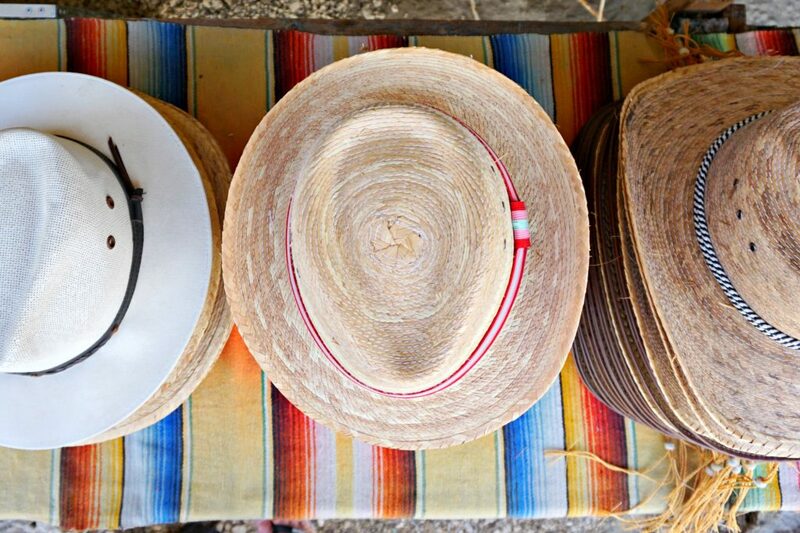 And of course a hat and sunglasses are essential in the bright, Mexican sun! 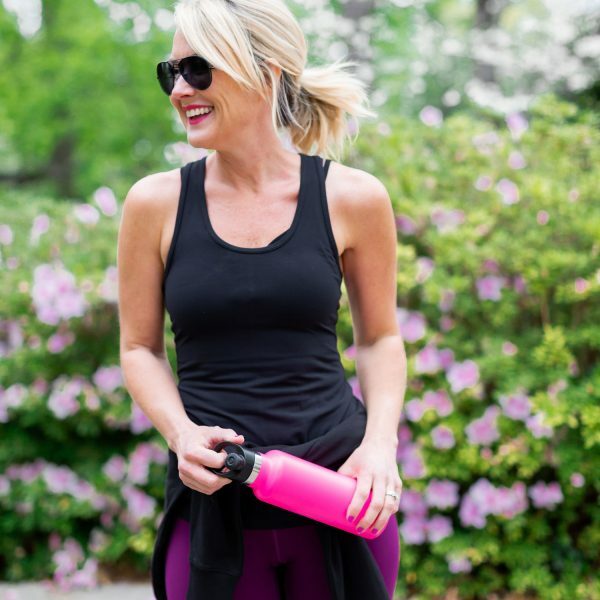 Not only is this swimsuit uber-chic, but it provides great coverage and support! It’s fully-lined with built-in cups, and the back stays firmly in place. 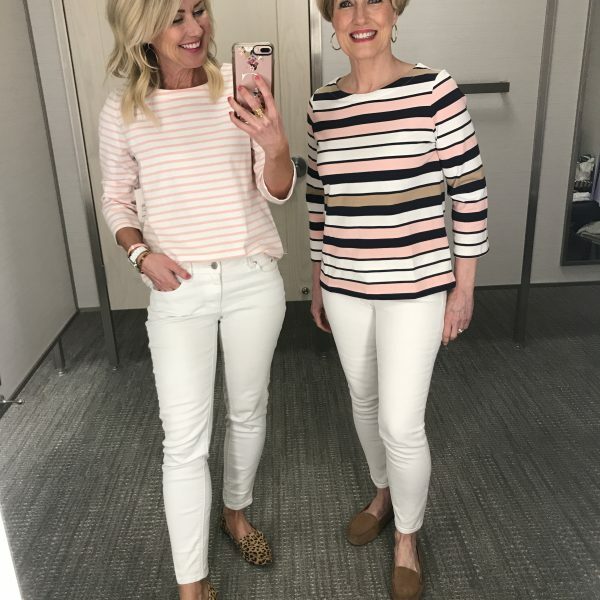 It also comes in pink and navy…and just check out all those amazing reviews on the Macy’s site! And it’s 30% off today!! Fit Tip: I always size up one in swim, especially one-pieces for more torso length. I’m wearing a size 4. 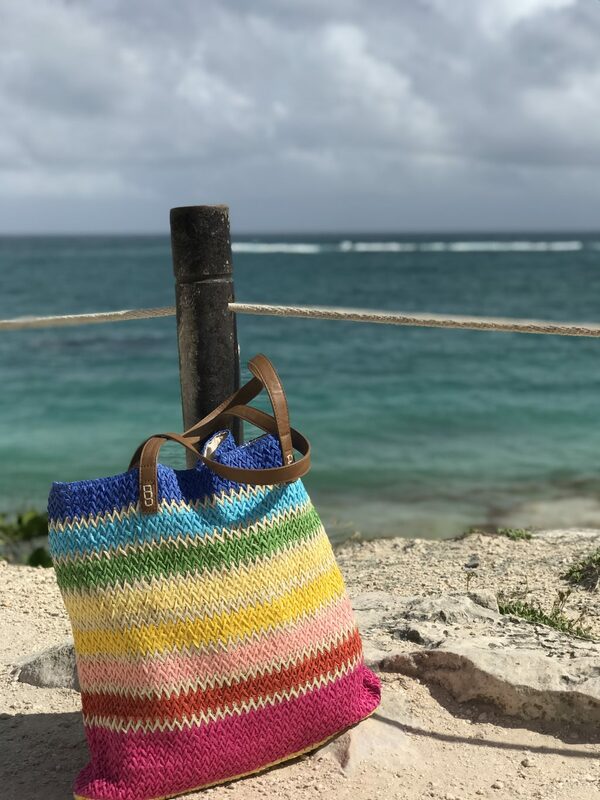 This colorful beach tote was my favorite of the trip…it held everything I needed for the day, and packed completely flat in my suitcase! Plus, it’s 30% off with code VIP, making it less than $20! After the Ruins and a quick dip in the ocean, we met back up with our taxi and headed to the bustling hotel zone of Tulum. Tons of rustic resorts line the road, none taller than a palm tree, and each tucked peacefully between the road and beach. 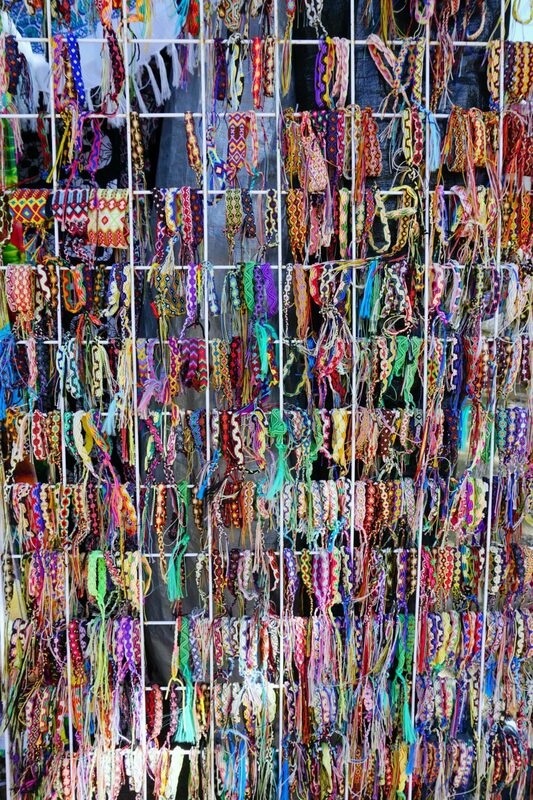 The opposite side of the road houses little shops, cafes, and market stalls selling colorful textiles, dreamcatchers, tassels and hats. 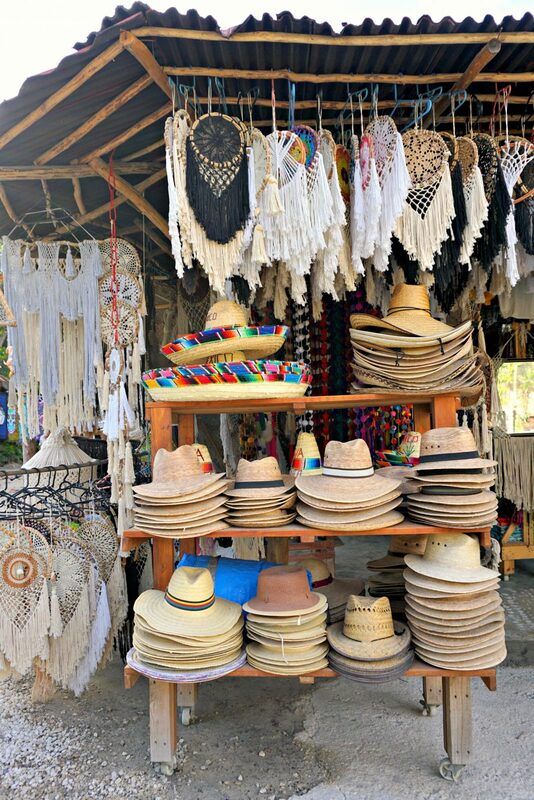 The driver dropped us and we wandered awhile, while I resisted buying every straw hat, pom-pom, and otomi I saw. 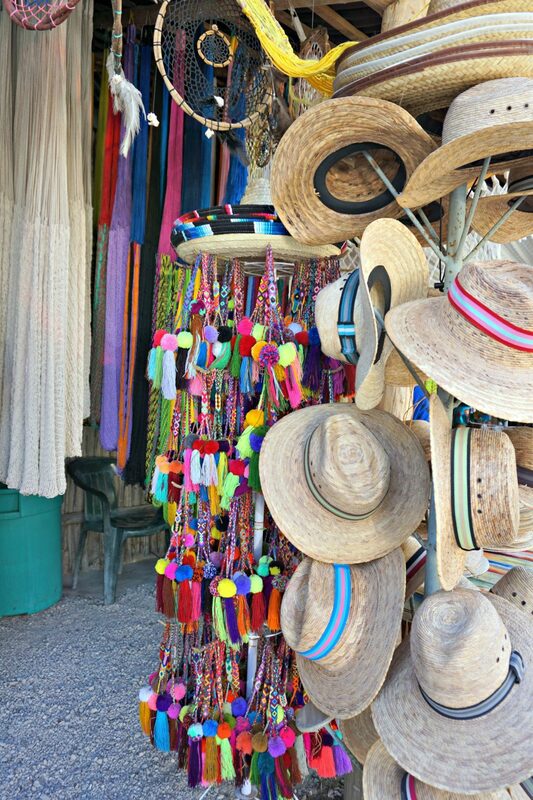 Sugarplum Travel Tip: You can barter prices in the open-air market, but we honestly paid less for some of the same items at our hotel boutique. 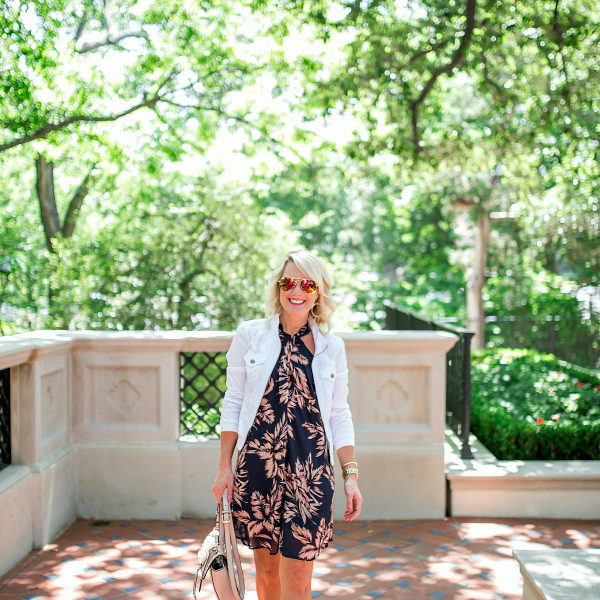 I swapped my shorts for this breezy cover-up…it’s so light and soft. I also love that it’s not overly sheer (I prefer some coverage in my cover-ups!) And bonus, it’s 30% off, too! 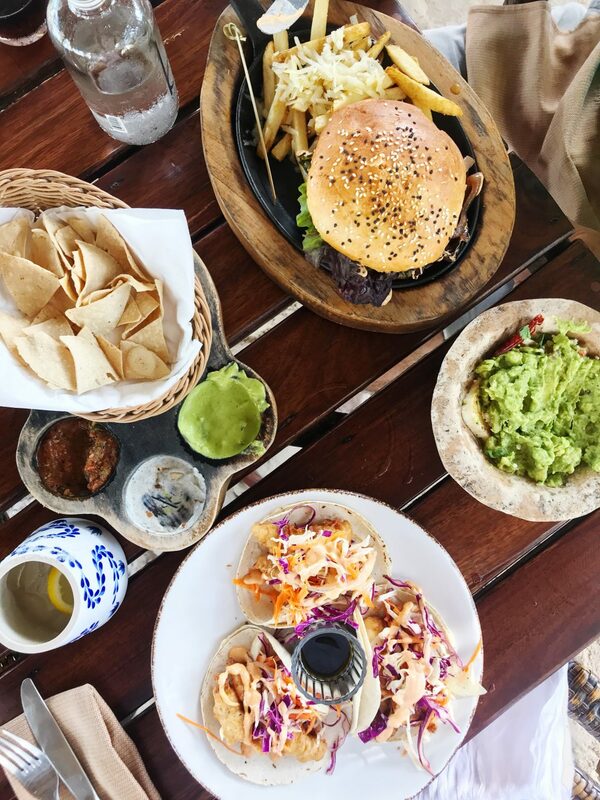 It was a perfect day exploring this rustic little seaside town, but we were happy to be heading back to the Belmond Maroma for the rest of our trip. 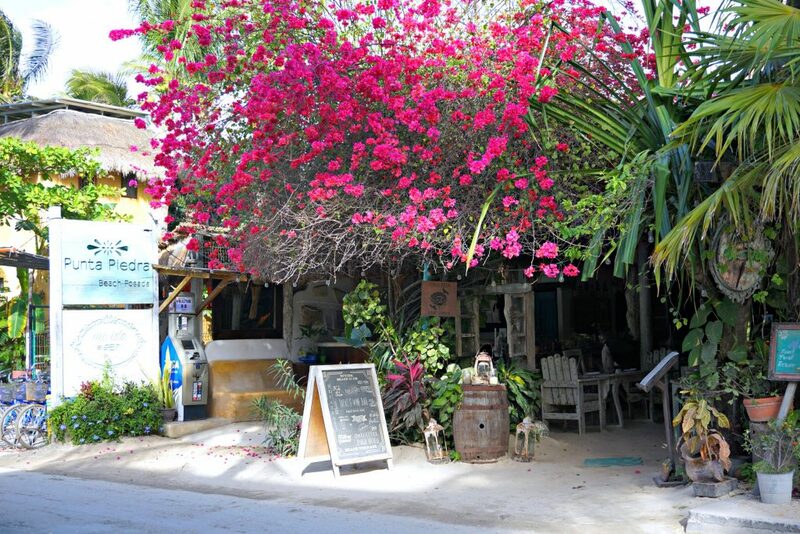 We love the peaceful isolation of Maroma, and the close proximity to the airport! 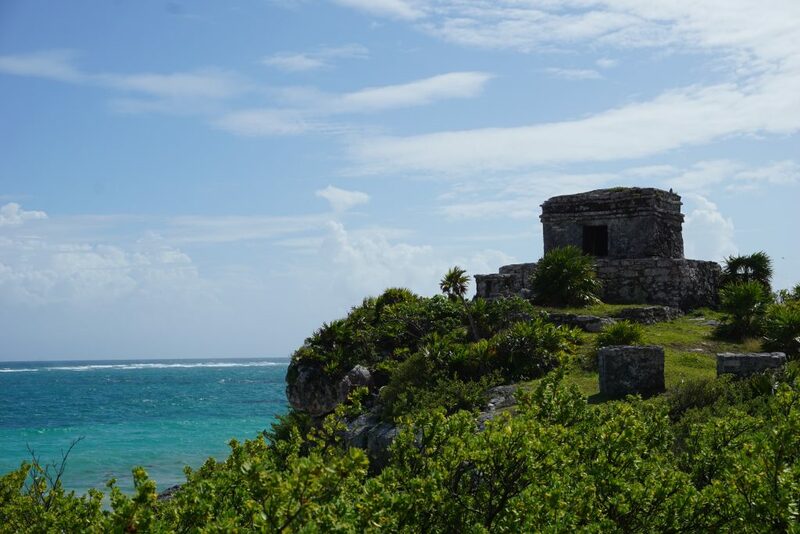 Have you visited Tulum? Are you as ready for Summer season with swimsuits and flip-flops as I am?! Now’s a great time to shop beach and pool styles (all styles, really!) at Macy’s with their huge VIP Sale, offering 30% off most everything. Everything You Need to Know Before the Gibson x Hi Sugarplum Resort Collection Launches TOMORROW! 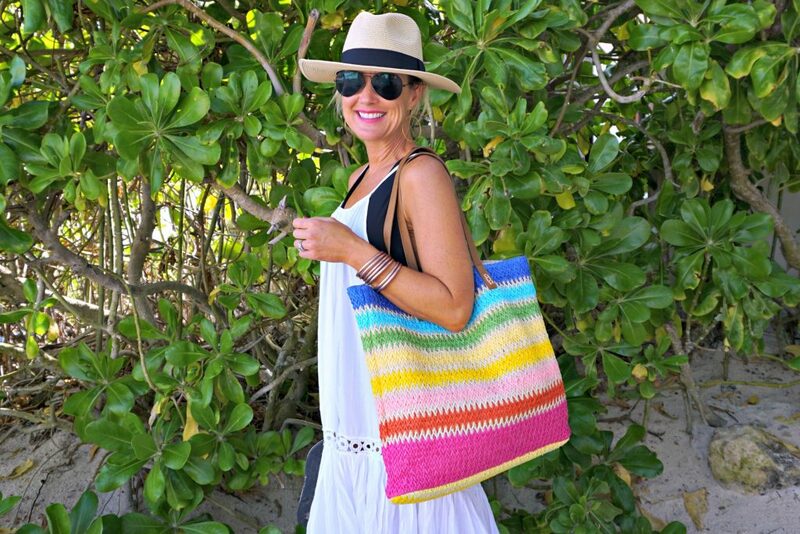 previous article: Resort Collection Restock is Here + New Colors & Patterns! Beautiful pictures! Love your beach style, too. Lovely pictures! 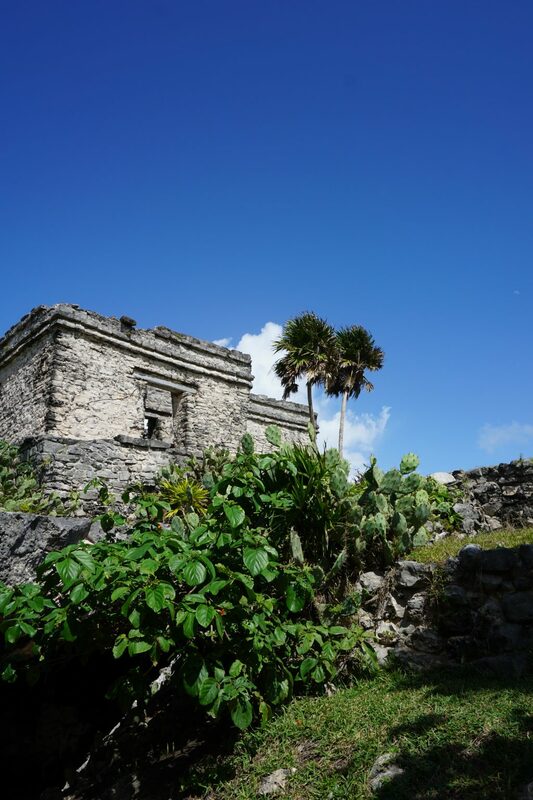 You mentioned hiking during your day trip to Tulum – what shoes did you bring for that part of the day? What? Not a single iguana photo? When we visited Tulum years ago, they were sunning themselves everywhere. And all those pompoms and none of them made it into your beach bag? Girlfriend, you disappoint me. 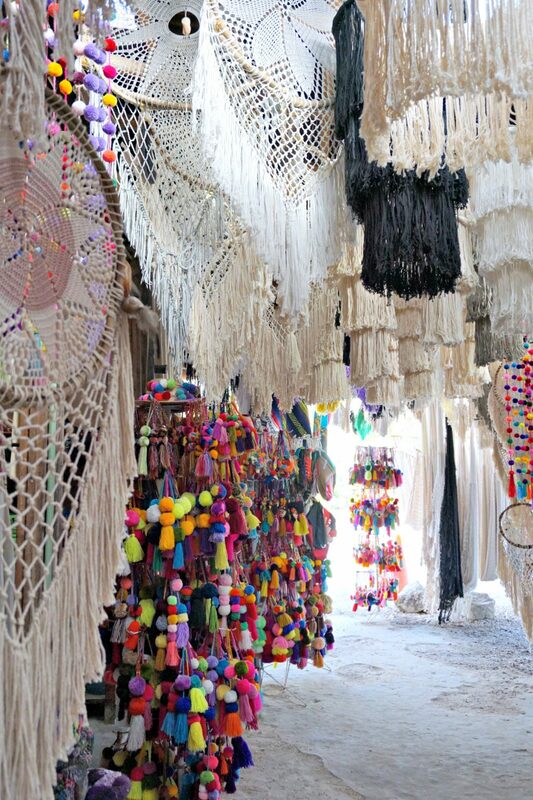 I’ve got pompom tassels hanging from all our lamps and I’m not even Miss Color Loving Cassie! Other than those two issues, loved the post. You look great! Are you still doing the faux tan with tanning lotions or is that a real sun tan?